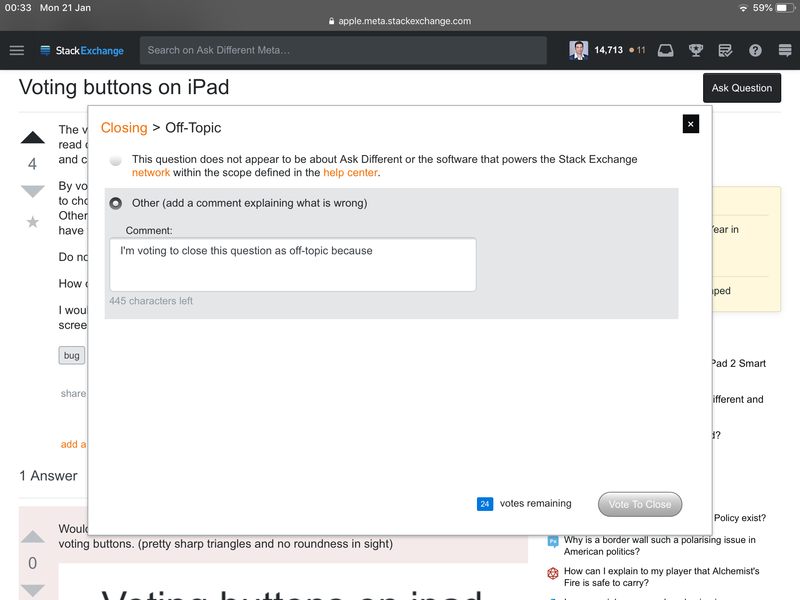 The vote to close or add another answer button (those with rounded ends) are difficult to read on an iPad using safari. They are white on a bright background. Ask question is nice and clear. By vote to close I mean the button saying "Vote to Close" at the bottom right of the dialog to choose the reason. 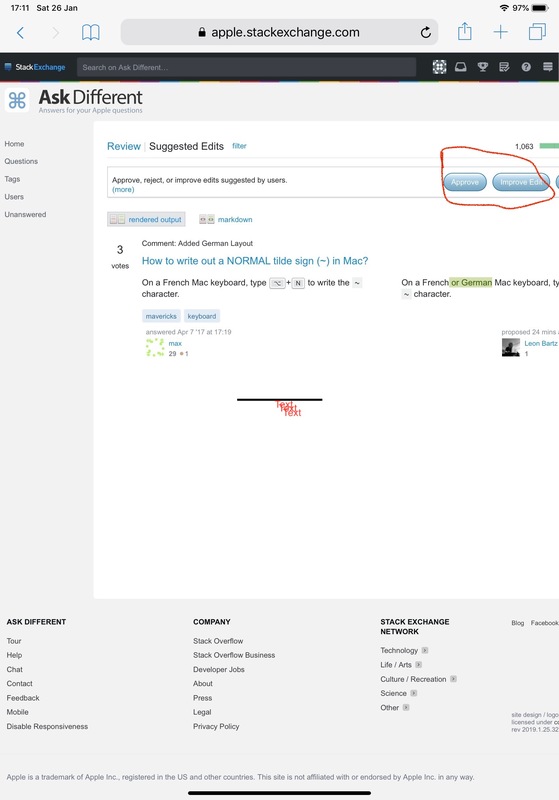 It is not highlighted until you choose a reason and if you choose Other it does not get reset properly. I think there are other cases these rounded buttons have this problem e.g. The buttons on the review queues. Do note that on Mac these buttons are rectangular. How can these buttons be fixed? I accessed this webpage using Safari on iPad (iOS 12.1.1) and here's the screenshot for Vote to Close button for the said scenarios. Please comment to pin-point to the specific issue or if you are encountering a different one. In the above case, the Vote to Close button is disabled. It will get enabled once you start typing anything past "... off-topic because". Not the answer you're looking for? 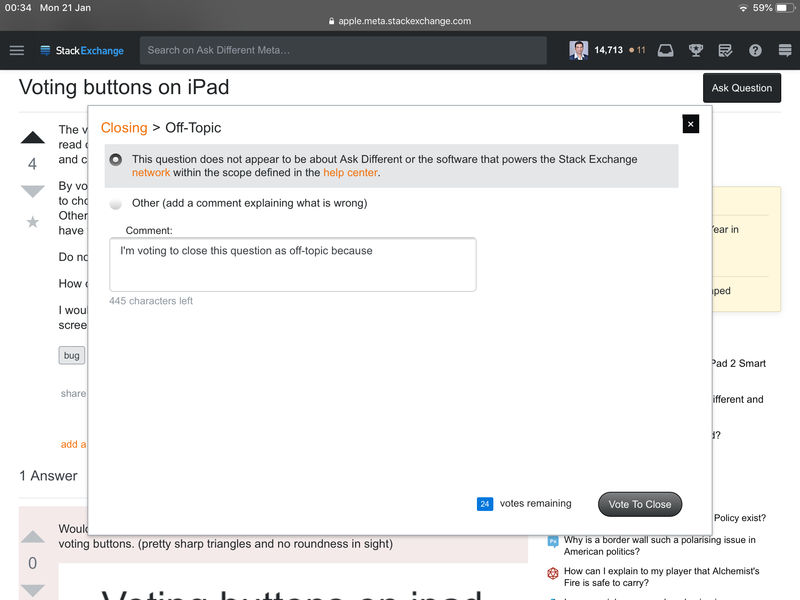 Browse other questions tagged bug ipad style .